On the week of his 100th birthday, we celebrate the mathematician’s life. June 23 marks the 100th birthday of Alan Turing. If I had to name five people whose personal efforts led to the defeat of Nazi Germany, the English mathematician would surely be on my list. Turing’s genius played a key role in helping the Allies win the Battle of the Atlantic—a naval blockade against the Third Reich that depended for success on the cracking and re-cracking of Germany’s Enigma cipher. That single espionage victory gave the United States control of the Atlantic shipping lanes, eventually setting the stage for the 1944 invasion of Normandy. But even before this history-changing achievement, Turing laid the groundwork for the world we live in today by positing a “universal computing machine” in 1936. “It is possible to invent a single machine which can be used to compute any computable sequence,” he contended. His proposed device could read, write, remember, and erase symbols. I love this story on ‘predictive policing’. 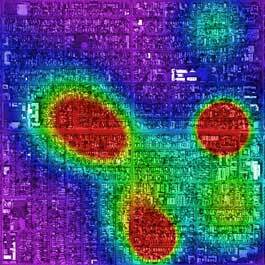 Researchers use data to predict “hot spots” for crime and then send it over to the police. The cops on the beat patrol those areas more often and crime drops. The best way to fight crime is to keep it from happening in the first place. And while they don’t wield guns or carry badges, three UCLA faculty members are helping the Los Angeles Police Department do just that. The scholars bring cold, hard science to predicting where certain crimes are most likely to be committed, a practice that, until now, relied largely on cops’ experience and intuition. In development for six years, the “predictive policing” software helps cops identify potential crime hotspots and stop illegal activity before it takes place. The program generates color-coded "heat maps" that indicate the "highest probability areas for where crime will occur that day," says math professor Martin Short. In its initial test, the software did a great job of befuddling bad guys. During one five-week period last fall, police recorded about 100 fewer burglaries and motor vehicle thefts than they had during the same timeframe in 2010. It began with a frustrated blogpost by a distinguished mathematician. 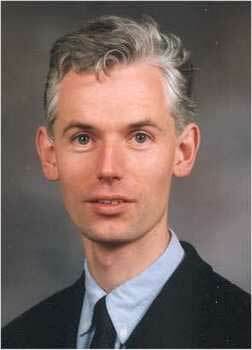 Tim Gowers and his colleagues had been grumbling among themselves for several years about the rising costs of academic journals. They, like many other academics, were upset that the work produced by their peers, and funded largely by taxpayers, sat behind the paywalls of private publishing houses that charged UK universities hundreds of millions of pounds a year for the privilege of access. So, in January this year, Gowers wrote an article on his blog declaring that he would henceforth decline to submit to or review papers for any academic journal published by Elsevier, the largest publisher of scientific journals in the world. He was not expecting what happened next. Thousands of people read the post and hundreds left supportive comments. Within a day, one of his readers had set up a website, The Cost of Knowledge, which allowed academics to register their protest against Elsevier. Kevin Slavin argues that we’re living in a world designed for — and increasingly controlled by — algorithms. In this riveting talk from TEDGlobal, he shows how these complex computer programs determine: espionage tactics, stock prices, movie scripts, and architecture. And he warns that we are writing code we can’t understand, with implications we can’t control.